The InterContinental Bora Bora Resort & Thalasso Spa received a “Special Achievement Award for Outstanding Environmental Initiatives” recognizing the resort’s unique seawater air-conditioning system from Global Traveler, a monthly magazine for business and leisure luxury travelers, on May 1, 2014, during the publication’s Second Annual Leisure Travel Awards ceremony at the Hotel Shangri-La in Santa Monica, Calif. The full list of winners, voted by readers, and special achievement awards, named by the magazine’s editors, is available in Global Traveler’s second annual Leisure Lifestyle Book. InterContinental Bora Bora Resort & Thalasso Spa is located on a virgin beach on Motu Piti Aau with breathtaking views of Bora Bora’s majestic Mount Otemanu. Known for its exemplary service to its guests, the resort features a number of unique attributes, including: 80 luxurious overwater villas each with a split-level terrace and sundeck for easy access to the turquoise waters of the lagoon; two of the finest culinary experiences in French Polynesia at its restaurants Reef and Le Corail; and the first overwater wedding chapel with glass bottom floor in French Polynesia. 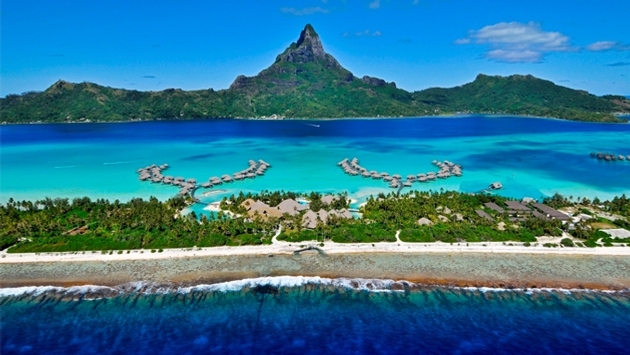 SOURCE: InterContinental Bora Bora Resort & Thalasso Spa press release. For information and rates for the InterContinental Bora Bora Resort & Thalasso Spa, call 1-888 IC HOTELS (1-888-424-6835) or visit www.tahiti.intercontinental.com.